A teenager is currently fighting for his life after being hit by a truck outside a pub in Sussex, police said. 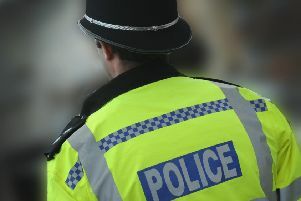 Police say they are investigating the incident in Patcham, Brighton, as a deliberate act and have arrested a 17-year-old on suspicion of attempted murder. According to Sussex Police, officers were called at 8.47pm on Saturday, October 7, to a report that a man walking on the pavement in Warmdene Avenue, opposite the Ladies Mile pub, had been involved in a collision. The spokesman said in a statement: “A vehicle described as a dirty pick-up truck, with a double cab and an open back, is reported to have run over the man before turning around and going over him again as his body lay on the floor. The victim, a 19-year-old local man, had been walking home with friends when the incident occurred, police said. He was taken to Royal Sussex County Hospital in Brighton where he remains in a serious but stable condition. No one else was injured, police added. Detective inspector Ian Still said: “Our initial indications are that this was a deliberate act in which a pick-up truck ran over the man on the pavement, before stopping and turning around, and driving over him again as his body lay on the floor. “We are still in the early stages of our investigation and we will be carrying out extensive enquiries to establish the full circumstances. “However, in light of recent events, it is important to note that we are not treating it as terror-related. Sussex Police said a 17-year-old boy from Brighton, arrested on suspicion of attempted murder, remains in police custody at this stage.